We’ve had a number of sales going on since the week of Black Friday. In December we began our December Deals sale and last week we announced our sale on all Stocking Stuffers. But the merry madness isn’t over just yet for Everything Summer Camp—we still have a new sale that’s just starting today and going through to Wednesday! It’s the Everything Summer Camp Last-Minute Trunk Sale! 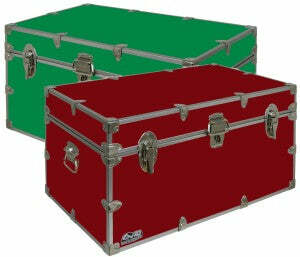 Celebrate Christmas in style with an excellent C&N Camp Trunk. Camp trunks make awesome presents! Get solid color camp trunks for $20 off and Patterned Camp Trunks for $50 off! Like the toy factory in the very merry North Pole, Everything Summer Camp too has a happy footlocker factory where all of our C&N brand name camp trunks are constructed. All C&N Footlockers are made with top-of-the-line construction. Made from 3/8” aspen plywood, we sandwich our solid wooden trunks between a secure steel sheet for the exterior and water, odor, and tear-resistant DuraWrap paper to line the interior. 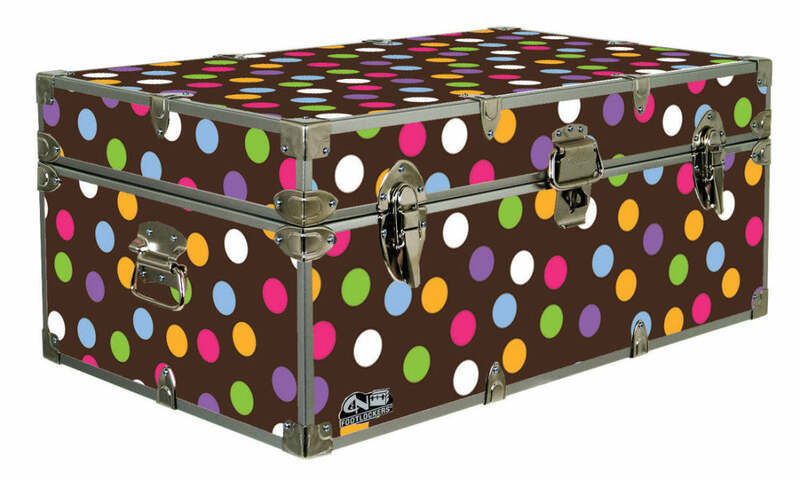 Once we add the hardware, our trunks pop with personality and character. Spacious, C&N Trunks offer ample room for storing holiday decorations, gift wrapping supplies, and whatnot. You know what’s jolly about being an Everything Summer Camp customer? Well, it’s ALL great, but one notable element is the Lifetime Free Warranty we have on all of our C&N Footlockers. That means we’ll repair any and every damaged footlocker you send us—free of charge. And that’s guaranteed for life! That’s right! Should your camp trunk from Everything Summer Camp—despite its unquestionably solid construction—somehow meet with some unfortunate accident, we’ll repair any damaged footlocker for you—for free, for life. That’s what you get when you shop a trusted store like Everything Summer Camp. As always, thanks for reading. And happy holidays!